We all know how effective and engaging video marketing is. There is no doubt that nowadays it is absolutely necessary to include videos in brand and product marketing campaigns to make them massively successful. But the main question remains unresolved: how to create a perfect video that will make your product stand out to the audience? We asked 48 experts to share their #1 tip for creating great marketing videos. Read on to know what they answered! My favorite tip for making a great marketing video is this: decide goals for the campaign, choose metrics for the campaign and always stick to a storyboard. The storyboard is essential because it gives a foundation to make a conversational, great marketing video. Think of it as a coffee or brunch meeting with a good friend – you’re comfortable enough to come off confident but at the same time ready to give the scoop without the fluff. You want to get to the point and make sure the video resonates with audiences. How does your brand marketing video resonate with people? Know the answer to this question: ‘How can I help you?’. If you can answer that question, you can script a great marketing video. I prefer to follow storyboards rather than reading from lengthy guides or manuals because the storyboard serves as a check and balance on whether you are highlighting the right information about your product and services. The goal is to create an easy to follow script and make sure it helps your target audiences. 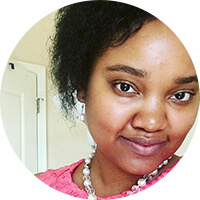 Briana Booker is a digital media strategist and marketing consultant, leading entrepreneurs across industries to create and execute a comprehensive online strategy that maximizes their media marketing efforts and public relations, including content creation and development, user-centered design and development, social engagement, and data-driven performance analysis. My number one tip for creating a marketing video is to make it a conversation. It’s easy to simply stare into the camera while concentrating on making no mistake in your cautiously pre-written speech but really it’s a lot more engaging if you treat it like a real conversation – imagining your ideal listener/watcher behind the camera and talking to her directly. It is her after all for whom you’re producing the video so be user-centric in every step you take. 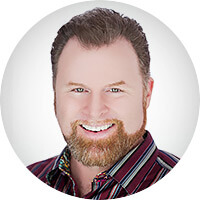 Robert Weller is a content strategy coach, keynote speaker, multiple book author and brand ambassador based in Germany. 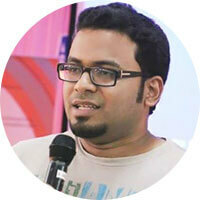 He focuses on improving companies’ customer experience by optimizing their content design. 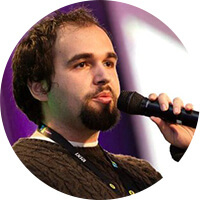 His experience is based on projects with leading brands such as Adobe, Telekom and Wrigley. – or if you prefer, you can outsource the production of subtitles to third party providers. 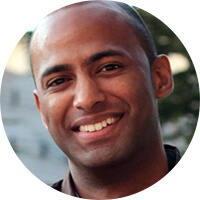 Krishna De is a social business and video marketing strategist, professional speaker and educator. She guides executives, PR and marketing professionals in how to integrate social media, online video and live streaming into their communication plans. Watch her weekly ‘Live Stream Insiders’ show for the latest live streaming news and best practice tips. The first few seconds are vital. For one, it’s important that the beginning catches peoples’ attention immediately, otherwise they will close the video within moments. And secondly, viewers need to be able to grasp your message within the first 20-30 seconds of your video. Plus, add subtitles to your videos if you’re going to share them on social media; I keep seeing so many videos being shared on Facebook and Twitter with no subtitles, when most people watch social media videos with the sound off. 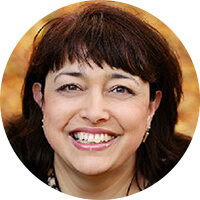 Lilach Bullock is a professional speaker, lead conversion expert, content marketing and outreach specialist. 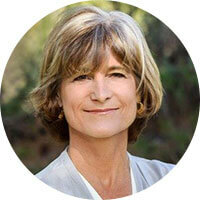 Highly regarded on the world speaker circuit, Lilach has graced Forbes and No. 10 Downing Street. She is listed in Forbes as one of top 20 women social media power influencers and was crowned Social Influencer of Europe by Oracle. I firmly believe that ‘the business is the people,’ so conveying the personality and professionalism of the organization is my number one goal when creating video marketing content. Not everyone loves to be in front of the camera, but with good direction I believe that anyone can represent their company in a compelling way that will resonate with viewers. Technical skills, new camera gear, and editing style are all important aspects of a good creative video, however I believe the most important tip is to be a good director/interviewer and make sure that the narrative comes first, even if that means using a script. There is no substitute for compelling, engaging dialogue when it comes to making a great marketing video. 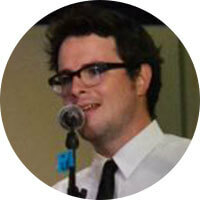 Andrew Lassiter is a digital strategist and video producer based in Charleston, South Carolina. With animation, you can create any kind of visuals. Your characters can look like anyone, and behave in ways that real actors or presenters can never imitate. Reality is not a factor – so you are free to craft a cohesive message without any constraints on creativity. As a result, you get an easy-to-understand video – and a lot fewer confused viewers! Summer Felix-Mulder is the co-founder of The Draw Shop, LLC, a video animation company focused on sales, marketing and training videos. Summer and her company have worked with top business influencers including, Eric Schmidt, Tony Robbins, Joe Polish, Ariana Huffington, Peter Diamandis as well as companies such as Twitter, Uber, The United Nations, Netflix and more. A copywriter by trade, Summer believes that marketing and storytelling is everything, no matter what business you are in and that video is an essential storytelling tool to getting your audience hooked on your brand. A well conceived script and premise that meets the needs of the target audience. 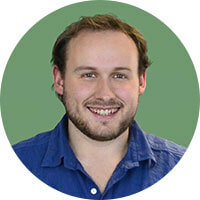 Logan Hale is the owner of V3 Media Marketing, a commercial video strategy, production and marketing company. V3 Media Marketing specializes in helping companies promote their brands, products and services with modern marketing techniques that leverage the power of video across a variety of platforms, including YouTube, Facebook, Twitter and beyond. Logan earned his degree at the UCLA School of Film & Television and has a lifelong love of art, film and music. Remember the context in which your audience will be viewing your video. They’re not looking for a sales pitch or a self-promotional video. They want to consume native content on the channel they are browsing. Make sure you tailor your video content appropriately for the channel you are marketing on. Deliver genuine value through your video first, before pushing your sales pitch. 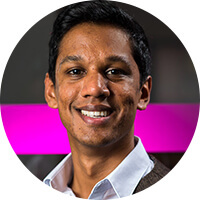 Raghav Mathur is the co-founder and CEO of Black Shell Media, a marketing agency supporting tech and gaming startups. 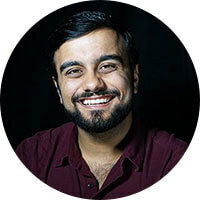 Raghav is a published author and prolific blogger, and has spoken at key events including SXSW and PAX. The key to a great marketing video is to prepare, plan what you are going to say, and be concise and to the point. The average marketing video should be no longer than 30 seconds. 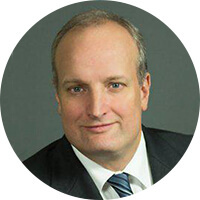 Gregory S Wildman is the founder and CEO of OVC, INC. Gregory has distinguished himself as a leader in the legal marketing industry. Since 1999, Greg has worked with hundreds of law firms and has developed over 500 legal websites and videos. His in-depth knowledge of Internet marketing strategies has helped many OVC clients get found in search results, bringing more clients through their doors. Like any type of content, marketing videos must tell a story. Before writing the script and creating the storyboard, think about your goal for the video and what your audience needs and wants. Capture your audience’s attention from the beginning with an idea that takes your viewer on a journey. Inform, educate or inspire them. Give them a behind the scenes look at your business for example, teach them something they would not otherwise have known or couldn’t learn from another type of content. Leave them feeling more positive and uplifted and walk away with an idea and a feeling they’ll never forget. Breathtaking music, amazing graphics, even celebrities can’t make up for strong, compelling storytelling. 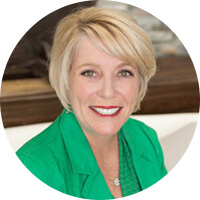 Julie Revelant is the owner of Revelant Writing, LLC, a firm that provides content marketing, copywriting and brand journalism services for the healthcare and medical industries. 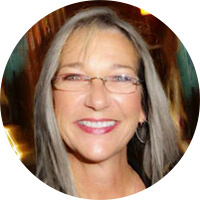 As a health journalist, Julie has written hundreds of stories for magazines and outlets such as EverydayHealth.com, FoxNews.com and FIRST for Women magazine. Know your audience and what information, experience or result they are seeking right now, then speak to that – nothing more. Newbies will often try to fit EVERYTHING they want a prospect to know into one video. That’s wrong. By staying disciplined and focused, we can meet a prospect where they are, then lead them through a buying story. Build trust first, then build product knowledge over several videos or other touchpoints. But don’t try to solve all questions in one long, epic video. 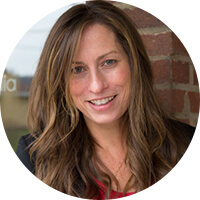 Whitney Hahn is the managing partner of Digital Bard in Frederick, MD, and leads a small, exuberantly geeky band of video marketers. She hosts “The Zesty Marketing Podcast” (listen on iTunes/Google Play) and speaks to industry groups about smart marketing and awesome videos. Be sure to tell a story in your video. You want to showcase your own personality or even the “personality” behind the product or service. There is nothing more boring than to watch a talking head spewing information or someone trying to be a reporter. Just try to have fun and relax…while telling a story. 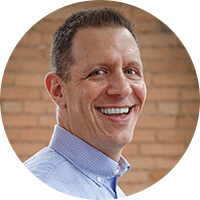 Arnie Kuenn is an internationally recognized digital marketing expert, speaker and author. 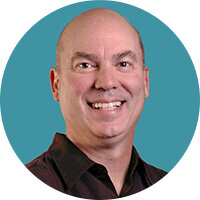 Arnie founded Vertical Measures, a highly respected digital marketing agency. I could say storytelling, but so often it requires creative concepting beyond the budget of many businesses. A school district tax campaign may just warrant a smartphone, a few clips from students and YouTube’s video editor to get the job done, for example. And some businesses may need salesforce-facing video versus consumer-facing, which also reduces the importance of storytelling. 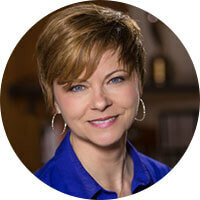 Merry Ann Moore is a content marketing and communications strategist. Moore Creative Strategies helps clients sift through the all the latest-and-greatest possibilities with a simple goal: to make your communications both creative and strategic. My favorite tip for video marketing is definitely doing something different/memorable within the first 3 seconds. We all know attention spans don’t last much longer than that so you need to catch viewers’ attention right away. 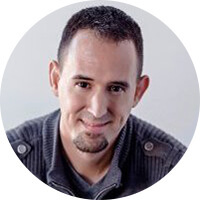 Jason Berkowitz is a digital agency owner & SEO specialist. Jason has been in the marketing game since 2009. Based out of NYC, his agency, Break The Web, focuses on increasing visibility for brands of all sizes. Be funny, but make sure viewers clearly understand what you’re selling and what you want them to do. I used to write TV and sketch comedy, and the best part was I could literally think of anything I thought was amusing and turn it into a funny bit. No rules, no sell, just the funny. I took those skills into marketing where you can be funny, but you also have to sell a product, a service, a cause, an idea and include lots of information and a strong call to action, while remaining true to the brand voice and making sure not to cross that line where senior management and legal start to feel uncomfortable. After all that, you’ve usually made an ad – not a marketing video. Viewers know it’s an ad and they truly appreciate your efforts to make their ad experience more enjoyable, as they promptly click the “Skip Ad” button. The flip side of that is to go bananas on the creative, make it super funny and either hide the stuff you’re selling and the CTA until the end, or bury it so far into the creative that nobody even knows what you’re selling. You get lots of shares, engagement and views – and no sales. The key is to be funny, outrageous, moving, exciting, unexpected and memorable, while putting the thing you’re selling front and center. Own it. Make your product or service the central part of the story, rather than an add-on or an afterthought. It’s not always easy – but that’s why I make the big bucks… ha! 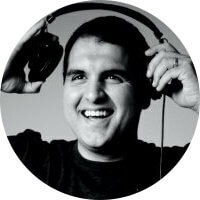 David Murdico is the creative director and managing partner of Supercool Creative Agency, specializing in video creative, production and social media marketing for startups, brands and businesses worldwide. 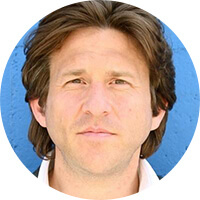 He’s a contributor to Adweek, the AMA, AdAge, Business Insider, Social Media Today, a featured panelist for MediaPost’s Social Media Insider Summit, Digital Hollywood, and a guest lecturer. Chief Copywriter at Captivate Content Inc. There are many, many great copywriting formulas that work for video scripts. I tend to follow the Ray Edwards one. Introduce the problem & agitate – make the viewer understand that you get what they’re aspiring towards or struggling with. Then, introduce your solution. Back it with proofs (awards, testimonials, stats, etc.). Finally, make an offer and ask for a response. Every business should have one video with this classic pitch. 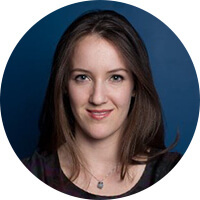 Anna O’Byrne is a chief copywriter at Captivate Content Inc.
Understanding the audience and the platform are very important for making any great marketing video. 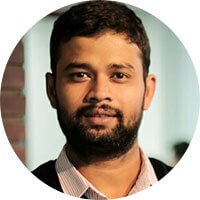 Subrat Kar is the co-founder and CEO of Vidooly, digital video and audience insights specialist. Tell a great story. Stories transport viewers emotionally, prompting them to share. They are memorable, compelling, and inspirational. Start with a hook to grab your audience’s attention. Build the story arch to fit your narrative. Use visuals and music to evoke different emotional responses in your viewers. Finish with a clear call-to-action that fits your goals for the campaign. You do not need a big budget to leverage storytelling for video marketing. Careful pre-planning will do much of the work for you in terms of delivering an effective end result. Consider your goals for the campaign at a high level, then develop your concept in detail through script-writing and storyboarding. If you are outsourcing any parts of the video production process, make sure your aims are clearly communicated to any 3rd parties, and stay heavily involved in the creative process. For inspiration, this article contains examples of exceptional storytelling by B2B companies. For specific pointers, this article will walk you through the 11 key ingredients for building a compelling story with video. 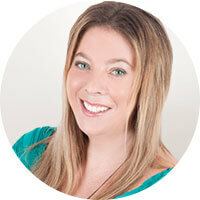 Courtney Purchon is the head of marketing for SproutVideo, a video hosting provider for business. Find the story first, then LISTEN to where the story leads you during the edit. Start with the basics. If you selling services or a product, you’ll need to keep the length under two minutes. If you are making a video to inspire people to donate to your organization for a worthy cause, juxtapose the urgency of the cause with the success stories due to past support received. If you have a proven record of great customer service or 5-star reviews of your product, you’ll definitely want to employ powerful customer testimonials in your video. Once you identify the story, you will then be able to produce the footage and find the right resources that will best tell it. Nothing is more compelling than a well-told story. There’s magic that happens during production. Stories are organic. They have a life and a personality. Pay close attention during production and make notes. People may say something unique, or events will unfold off-camera. During the edit, following the pre-produced script may feel forced or unnatural. It’s ok to admit that the script may not be the best way to tell the story if you feel the story pulling you in a different creative direction. You need to be comfortable with it and give it a chance. It’s amazing what can happen. SJ Periodontics & Dental Implants – Meet the Staff from SQ Productions on Vimeo. The footage in the first half of the video normally stays on the virtual cutting room floor. It was creatively included in this video because it juxtaposes how nervous people can be before an on-camera interview with how eloquent they can sound when they believe in what they are saying, regardless of the nerves. Following this story resulted in the most powerfully honest and compelling testimonials we’ve ever shot. 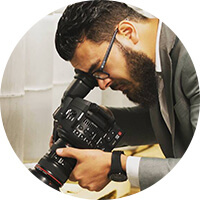 Tamer Tewfik uses his creative skills in production to create, as he claims, the best video marketing products possible. The best tip on using video for promotional marketing in today’s social environment is to be sure you deliver your branding, message and call to action as soon as possible within the content. We have always been conditioned to draw the consumer into the experience with compelling imagery and visual storytelling, engage them with a memorable hook and then provide a branded call to action. The average time always ran between :30 and :60-seconds for a standard video spot. In today’s digital environment, the majority of video consumption is happening within social media applications, on mobile devices and with the sound muted. The average attention span also continues to decrease. So, when developing your video promotions, you must begin with compelling imagery to draw in the consumer – or create a “thumb stopper”, immediately incorporate your branding component in the form of a graphics or content and then work into the engagement hook and final call to action. And, remember the new promotional times have also decreased greatly. It now starts with 6 to 7 seconds on YouTube pre-roll ads and moves up to about a maximum of one minute. So, the earlier you can visually deliver your brand message and call to action in the video, the more successful your video promotions will be! 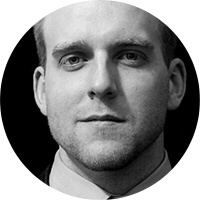 Dave Serino is the founder and chief digital strategist at TwoSix Digital. He has been extensively involved in the digital and online marketing process from more than 22 years. There are many elements involved in a good video (audio, strategy, etc.) but if you are going to invest time and money into making a video, be sure to create your own YouTube channel and optimize it. A video is one of those leveraged activities meaning you make the video once and it continues to work for you, so be sure your YouTube channel is optimized for keywords, links to all of your important sites, and portrays the best image possible for your business. Laura Lash Fitzgerald is a digital marketing expert and trainer. Lead animator at Flimp Communications, Inc.
It’s all in the script. Make sure you’ve poured enough care into the scripting stage because even though videos evolve over the life of the project, a sturdy foundation is essential. Marc Hobelman is the lead animator at Flimp Communications, Inc.
I’ve found the most important thing in video is creating a compelling message through storytelling. Video gives us the capability to show so much more than any other medium which is why users love it. If you are creating a marketing video, get out of the office and talk to your customers, members, or community members and, if possible, incorporate their stories. At the very least you will learn about how they perceive you and help you shape your message. 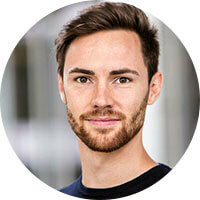 Michael Wood is the founder of Helium Videos: “I tell personal, business, and community stories through the lens of my camera, and share them with the world through video marketing”. I’m assuming most people will mention something along the lines of Tell a Story. This is also one of my beliefs however to offer something different I am going to suggest to plan the promotion of your video. Most people make a video, pop it onto Youtube or Facebook and then just wait. Successful videos don’t just become successful by chance. They are part of a marketing plan and this plan should include how you will promote this to your target audience. This could be through blog posts, feature articles, promoted posts, newsletters, youtube channels, regular updates, joint ventures with other businesses etc. It really is unlimited but if, like most people, you leave it up to only one promotion avenue or worse just upload to the internet and hope then you will end up disappointed no matter how good the video is. Plan, Create, Promote, Measure, Repeat. 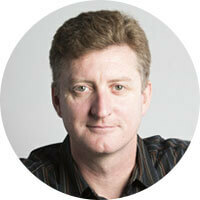 Troy Sheather is a leading video production and video strategy expert, based in Sydney, Australia. 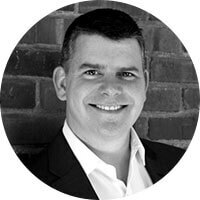 He has over 10 years experience working with a range of clients from small business owners up to multi-national enterprises. 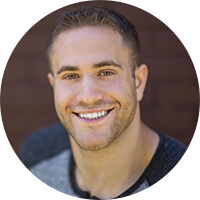 He has a passion for educating clients on the power of video marketing and is excited about the years ahead in this ever changing industry. At Delightful Communications, we encourage our clients to think about the potential ROI from their video work by leveraging different lengths and content slices for different platforms. When story-boarding video, it’s not just about one version, it’s about ensuring your message will translate across different social channels. What might work on YouTube at a minute in length probably won’t work on Instagram where attention spans are shorter. Bonus tip: Add closed captions for people watching with sound off and because all brands should be taking accessibility into account with their marketing. Mel Carson is the founder & principal strategist at Delightful Communications – a Seattle-based Modern Marketing and Digital PR agency. Mel’s mission is to help businesses and their people be more discoverable, shareable and memorable. The company applies branding strategies that focus on Content Marketing, Social Media, Digital PR and Personal Branding with a strong emphasis on people and not just pixels. Audience insight – if you spend the time to understand what makes your audience tick and identify a relevant human truth, you increase the chances of your story resonating dramatically. Get the story right and the production of the video as an output should be a fait accompli. 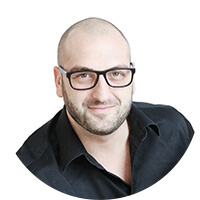 Adam Vincenzini is recognised as one of Australia’s leading digital marketers. He has founded agencies and led global communications companies in a career thans has spanned more than 16 years in both Australia and the United Kingdom. Purpose. Have purpose. Is that too simple? Video for video’s sake, as much as it is fun, … is it effective? Probably not. If you know the purpose of the video, you can work backwards from there and you’re half of the way to using video successfully. Reg Sorrell of Online Videos Perth is passionate about helping businesses take advantage of the worlds insatiable appetite for digital content. Having witnessed the world go video crazy, with thanks to sites such as YouTube and Vimeo, Reg saw the opportunity to take his extensive creative TV production background and help businesses produce engaging video content that is designed to build a relationship with its market and use as a tool to increase lead generation, convert browsers into buyers and eventually increase profits, taking their business to the next level. There are no definitive rules for social media content, what works for one business may not be effective for another. The key way to succeed is to research those within your niche, and the interests of the audience you’re seeking to connect with, then to formulate a strategy based on where you see an intersection between these insights and your message. 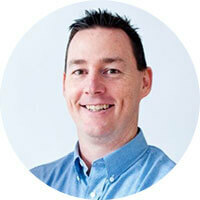 Andrew Hutchinson is the head of content and social media at leading social media news site Social Media Today. Read tons of questions received by your support team, so that when you make the video you’ll certainly address real problems. Your customers will love you for that. Plus, if your customers were thinking about those, it makes sense that your new prospects also need answers to those questions. Being in touch with your customer service team when preparing your next marketing video is crucial to success. Florin Muresan is the CEO of Squirrly, helping people go from “Never Found” to “Always Found” on search engines. Demonstrate your product or service, don’t just use a talking head to explain the benefits. 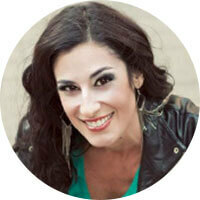 Madeline Johnson is a marketing & media strategist specializing in health, wellness, fitness and nutrition. Good thumbnail and text overlay! Vivek Raghavan is the co-founder of WowMakers Explainer Videos. Don’t make a video just for the sake of making a video. Make a video because you have a specific need in a specific marketing campaign and you determine that a video is the most effective method of achieving your campaign goals. Once you’ve determined that video content is the best format to achieve your goals, then you can work out what content to include, what style works best and how long it should be, etc. If you start from the right place, knowing what you want your video to achieve, then you have a solid foundation to set measurable targets that will help you assess how successful the video is and what your next step should be. Otherwise you’ll end up just spending time, effort and money on a video that might not even be necessary and having no way to assess how successful it has been for you. 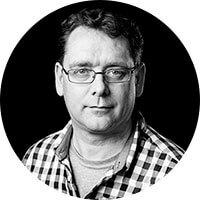 Martin Ray-Jones is the creative director of Eden Videos Whiteboard Animation Studio, and has overseen the production of hundreds of marketing and training videos for a wide variety of companies and charities since 2012. The best marketing video is one that’s authentic and true to the brand. Too often, I see marketers mimicking what they’ve seen rather than paving their own path. To build a business online, you must inspire confidence and trust. You can only do this when who you are is accurately depicted in what people see on screen. That means you have to stop trying to be your competition. Instead, take what you know and translate that into videos that solve a real problem. Have the courage to answer the questions no one else in your market will. When you genuinely help others improve their lives, their businesses, and their outcome… you gain a loyal audience and potential customer for life. Focus on the type of video ‘Bob’, your ideal client, will respond to. 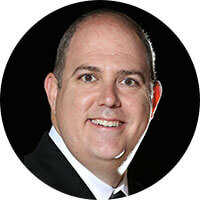 Mark Timberlake is the author of the best selling Social Media Masterclass Course. Know your story. This is so simple yet so complicated. The bottom line is every business has a story to share, so make sure that shines through in your video creation process. Bhavik Haria is the founder of fast growing video agency Cincera. Cincera work across a wide variety of industries and are constantly innovating new ideas ensuring no videos are the same. We’re simply storytellers. Everything begins with a story. Storytelling is the best tool a business owner/marketer has to engage their audience. Your video can be a beautiful masterpiece but if the story falls flat – no one cares. Businesses need to craft stories in a way that audiences will engage with their brand. Why is it that there are movies at the box office that keep us glued to the big screen for two hours but most marketing videos can’t engage us for two minutes? The answer is a story. In the box office hit, there are carefully crafted story moments that the audience MUST have answered. If they are not answered, they audience checks out and the movie fails. The same is true for your marketing video. 75% of the work in your marketing video should be before you record a single frame of video. Map out the goals of what your video should be doing, speak in terms that put your customer first. Your customer doesn’t care about your mission statement or how you are the best at xyz, they want to know how you can fix their problem – the rest is just noise. 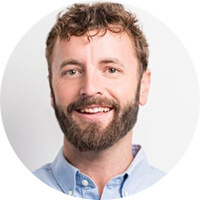 Johnny Eaker is the co-founder of Cosmic Sauce, a video marketing agency helping brands solve problems with video. My #1 tip for making a great marketing video is to be remarkable! By definition, to be remarkable is to be worthy of notice or attention… to be extraordinary. So how does that translate into making a great marketing video? It means that your video must be authentic, relevant and relatable to your target audience. You need to understand what your target audience derives value from and what makes them tick. How are they influenced, what are their needs, and why should they care are just some of the critical questions that must be answered. The more you know about your audience, the better you will be at crafting the right message with the right tone in the right format at the right time. Within the first few seconds of your video, you must connect with your audience to capture their attention. Then, you must keep your audience engaged throughout the duration of your video. This is where all that knowledge of your audience comes into play. Your video should tap into the heart-drive of your audience to make them feel something (excited, happy, empathetic, curious, motivated, inspired, educated, etc.). When you effectively tap into the emotions of your audience with your video, the result can be powerful. One of the most desired outcomes of any great marketing video is action. And when your video is so influential that it drives your audience to take action, then you know it is remarkable. 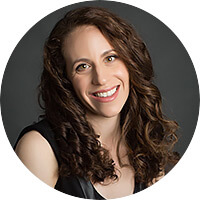 Darcy Schuller is a savvy digital marketing leader, dynamic social media and content marketing strategist, creative brand builder, and experienced marketing consultant, speaker and writer. 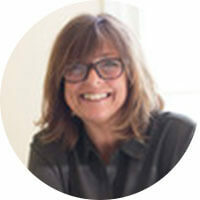 Darcy serves as the Chief Digital Marketing Officer of Suvonni, a boutique digital marketing agency in Chicago. The best way to ensure your business marketing videos will be great and to get the most desirable reaction you want from your audience; is to be sure you start recording while you are in the most positive mindset. Get your energy level where it needs to be prior to recording. Your positive energy sets the tempo of your video marketing message, which will ensure you deliver the best first impression for your viewers. 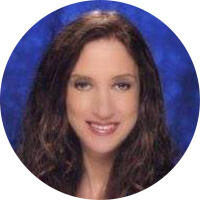 Jennifer Sultzaberger has over 17 years’ experience in digital marketing. 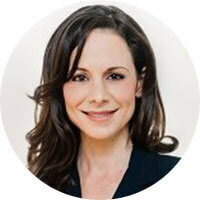 Jennifer’s invented her patented technology of #vidit, a high performance video campaign platform. Applying her considerable knowledge of (SEO), pay-per-click (PPC) and social media, #vidit delivers superior targeting and response rates, while lowering campaign cost-per-lead (CPL) for improved ROI. As a video producer at InnerAction Media, I believe that knowing and understanding the subject (company or individual) is the best way to create a great marketing video because you will have the ability to express their story in the most impactful way. For example, if you are in the healthcare field, producing videos that showcase your nurses, doctors or office staff builds rapport. From our own advertising experience, doctor videos generate the most engagement. Consumers LOVE being able to praise them and share their experiences. You’ll be amazed at how many shares, likes and loves a doctor video receives. For other professions, letting consumers see who they’ll be working with gives the consumer a chance to see the business’ personality. For example, if you are a home builder, you can feature your sales person on screen. This will probably be the first person a potential customer meets. Seeing them talk about the home building process, what the journey is like and answering common questions may help push the potential customer to pick up the phone. To get to know the subject, we always have our clients with us from start to finish of the video production process—starting with an intake meeting to get a feel for what they’re looking for to developing the script, the tone and the message and also at the very end when we release the video. This way, we can talk with our subject, get their thoughts and guide them on their marketing journey. To make the consumers understand the subject, to help tell your subject’s story, as well as help them market their business or company—you must first understand the subject. If you don’t understand their message, the consumers won’t. Liza Gangi Heiskell is a graduate of West Virginia University and the winner of National Daytime Emmy Award in 2006. She has years of experience producing cable and network TV shows in New York City for TLC, Discovery, NBC News and the Fox Broadcasting Network. My top tip for making a great marketing video is to keep it short. When you keep it short you can upload it to more networks. Alternatively, you could create several versions of the video. The longer versions can be used for networks like YouTube and Facebook while the shorter one can be used for networks like Instagram. I think the most important thing for anyone to remember with any content, is to put themselves in the shoes of the viewers (or readers). What first attracts, then holds your attention? What makes you want to share that great video you just saw? Works of groundbreaking genius or incisive thinking will certainly be watched if they are by someone who is already highly respected – such as Gary Vaynerchuk. But if you don’t have quite that name recognition or respect, the most brilliant video will fail to reach many eyes if it is long or presented in lecture form. So the best strategy is to make your video short, so that people will not “come back to it when they have more time”. Few will ever do that! Stick to one topic. If that topic is broad-ranging, narrow the focus to one aspect of it. Inform and make use of the most visual of mediums. Prepare! Uncertainty in your voice, if you are winging it, will lose viewers in a hurry. And don’t come off like a stern teacher! Be warm and engaging. Give people reasons to want to like you. Jan Gordon is the Top 20 Global Social Media Influencer 2017, a publisher, author, digital media strategist, the founder and CEO of curatti.com. Relevance. The NUMBER ONE wast of energy that I’ve seen from my consultations with small business owners is video. Video is expensive. That is, it’s expensive if you do it the traditional way. You can pay upwards of $3,000-$4,000 easily for a 60-120 second video. It will look GREAT, because there are a lot of talented video people out there, but comparing apples to apples, video is the most expensive form of content, so a swing and a miss on video hurts a lot more than missing on a blog post or other content marketing. Here’s where the problem comes in: The video is not relevant to the customer’s needs. It’s written from the POV of the business owner, and not the customer. 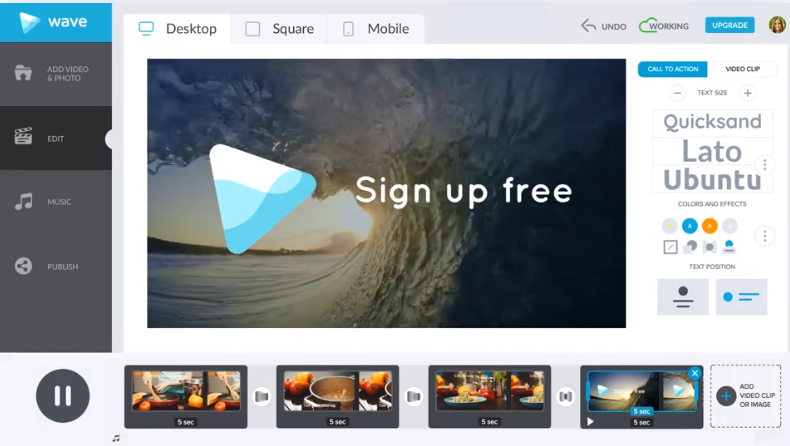 Make a video that is relevant to the core problem you solve for your customer, and you’ll win. Relevance. It’s king, and it’s always been king. 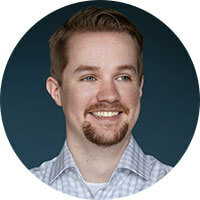 Kyle Bailey is a SEO, content, social and sales consultant: “I solve problems and tell stories, sometimes in that order”. The best way to ensure that your video is impactful, relevant, and useful is to keep 1 core group of people in mind when making it. If that group is too large, you probably have to take another look at your buyer personas. If you feel like you need your video to hit multiple buyer personas, you probably need a second (or third, etc.) video. Better to make 2 or 3 videos that really impact several buyer personas, than to make 1 video that “reaches” all of them, but has no bite. 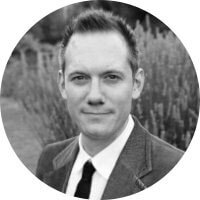 Erich Franck is a Frederick County native with a background in digital marketing, and account management, and is a Hubspot-certified Inbound Marketer. He’s had a presence in branding, advertising, social media, and multifamily housing in the D.C. area for the past 6 years, and brings his talents back home to take a role in managing accounts here at Digital Bard. There are many aspects that go into creating an outstanding marketing video. Story, composition, music, color, and energy can all play vital roles in impacting your target audience. Personally I feel that where most marketing videos fall short is in technical precision. Study framing, lighting, and your camera! Know the limitations and strengths of your equipment and use those to create the most stunning visuals you can. There are infinite resources available online to grow your technical skill set. Study and utilize them to give your client a strong, polished, and professional piece. If you are not the one doing the filming then be sure to properly vet your filmmaker and ensure that they are utilizing proper technique. 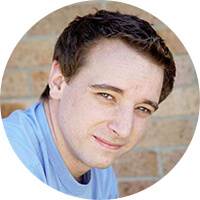 Aaron Free is a cinematographer, editor and studio manager at Empire Creative Marketing in the Houston, Texas area. Aaron is a perfectionist when it comes to creating videos. His eye for detail and creative storytelling experience come together to create polished videos for our clients. President at Pulse Marketing Inc.
We conduct extensive research on the target market to identify emotional triggers and build the storyline to connect with the viewer. 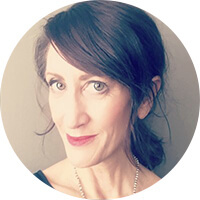 Serena Mastin is the president at Pulse Marketing Inc.: “we create heartfelt brand experiences by creating compelling messages, sharing stories and capturing audiences through graphic design, web design, filming, video production and advertising”. The key to making a great marketing video is to turn your elevator pitch into a video. To clarify, the elevator pitch for your business is a simple and clear message that identifies the problem you’re solving and how you’re uniquely solving that problem. This should be the basis of your marketing video. During the planning and production phases, you should be continually ensuring that this is the message that is being presented to your audience. Although your video will be longer than the elevator pitch, all the supporting content should be focused around this central message. If you stick to this, then when your viewers are finished watching the video, they’ll understand exactly what you do, how you do it and how it can help them and hopefully lead to a lot more business for you! Jonathan Stefansky is the CEO and co-founder of Viewbix. 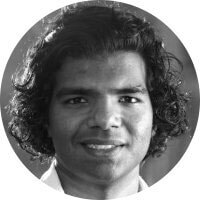 He has an extensive background is both sales and marketing as well as technology, working as a leading executive in leading firms like Akamai, Goldman Sachs & Co and IDT Global Services. According to some reports, humans have shorter attention spans than even a goldfish. Now, I don’t know if that statistic is true but it serves as a good warning sign: where and when possible, we should keep our promotional video content short and sweet. So, grab your video script and planned sequences, and try cutting it in half. OK, have you done it? Awesome. Now, try cutting out some more. Trust me, I know it’s not easy. To you, the creator, every message seems crucial and every scene adds to the impact of what you’re trying to achieve. I totally get it. But your audience won’t know that anything is missing. They only see what you show them. 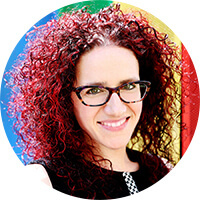 Jordana Borensztajn is a keynote speaker, social media trainer, author, humourist and presentation skills coach who works with clients to enhance their social media marketing, content marketing, public speaking and creativity skills. Jordana loves dark chocolate, new Apple products and taking selfies with miniature dogs. In order to make a great video, you neeed to know who will watch that video, where the viewers are located geographically/culturally, on what device, for what reason and when will the video be triggered and ready for viewing. Also, video is more effective when you create it for an individual according to that specific person´s needs, likes and other gathered information. Once you have researched the previous information and put a plan in place, you should use all the contextualized information so that the video evokes the desired reaction in the viewer’s mind. The more the message is adapted to who will actually see the video, the higher the conversion rate will be. Josías De La Espada is the CEO of Pirsonal.